The UK has exported enough gin to fill 30 Olympic swimming pools, new stats from the HMRC have confirmed, as data show more than half the UK’s gin is exported to the US. Exports of UK gin rose 15% during 2018, that latest figures from HMRC have said, and is now worth to £612 million, more than double the figure in 20120, which accounted for £288 million. Volume of UK gin exports now totally 76 million litres, it said – the equivalent of 30 Olympic swimming pools. Around £190 million-worth of sales in 2018 went to the US, it said, which now accounts for around 59% of the total UK gin export. Sales to Australia also rose, doubled from 2017 to 2018 to £24 million. 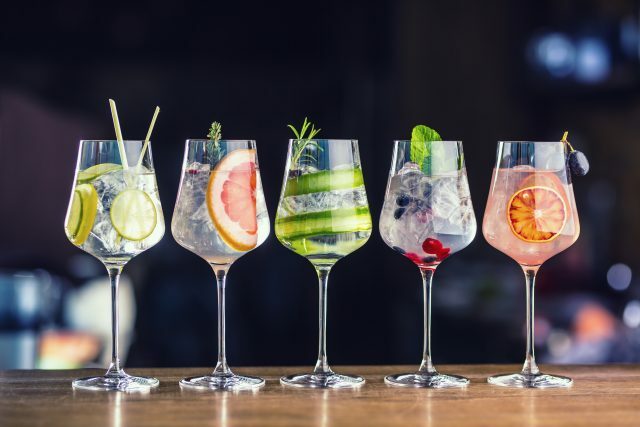 International Trade Secretary Dr Liam Fox MP said it was “fantastic” to see the that the recent success of British gin was translating into economic benefits for the country, as well as supporting local jobs. “As UK drinks exports continue to grow from strength to strength, my international economic department is ready to help our firms break into new markets and meet the rising global demand for great British food and drink,” he said.